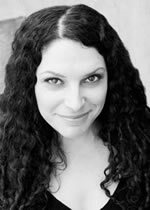 Claremont, Calif. (May 31, 2013)—Pitzer College alumna Lauren Dolgen ’97 has been promoted to head of West Coast reality programming and executive vice president of series development. In her expanded new position, Dolgen will oversee the strategic creation and development of all of the network’s West Coast-based reality television slate, including oversight of current hits such as Teen Mom 2 and Ridiculousness, the upcoming Teen Mom 3 and the next season of The Real World. During her more than 16-year tenure at MTV, Dolgen has played integral roles in the production, development and creation of a number of top-rated series and specials. In 2009, she created and developed the groundbreaking docu-series 16 and Pregnant and the follow-up series, Teen Mom and Teen Mom 2. The most recent season of Teen Mom 2 is drawing an average 3.4 million viewers each week and is one of the top cable series of 2013. Earlier this year, Dolgen and her team developed BUCKWILD, which led the ratings for a cable series on Thursdays during its run. She has also been involved in the production, development and creation of numerous MTV shows including Ridiculousness, Jackass, Randy Jackson Presents: America’s Best Dance Crew, Rob Dyrdek’s Fantasy Factory, Rob and Big, and Viva La Bam. Dolgen joined MTV immediately after graduating from Pitzer College, following a successful internship in the communications department at MTV UK in London. She joined Viacom in 1997 as a production associate on Behind the Music for VH1 and moved to MTV in 1998 where she became a production coordinator. In 1999 she shifted from production to development, where she quickly moved up through the ranks. Most recently, she served as senior vice president of series development for MTV, West Coast. Dolgen double majored in history of ideas and environmental studies at Pitzer College.